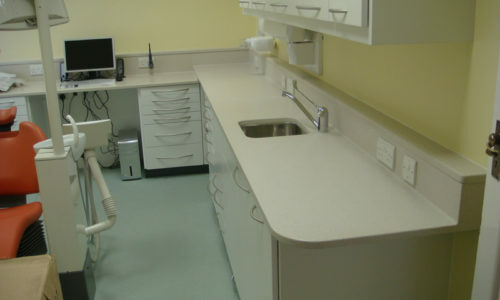 Seamless and non-porous 25mm thick Velstone work surfaces form an ideal choice for Dental Surgery worktops. 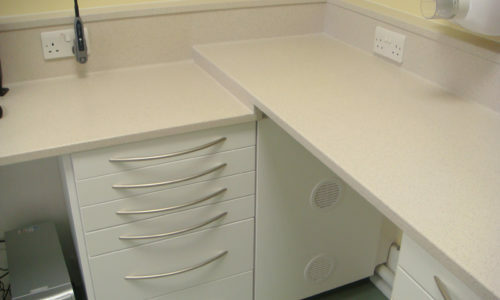 Velstone work surfaces offer excellent moisture resistance which is desirable when selecting a Dental work surface. 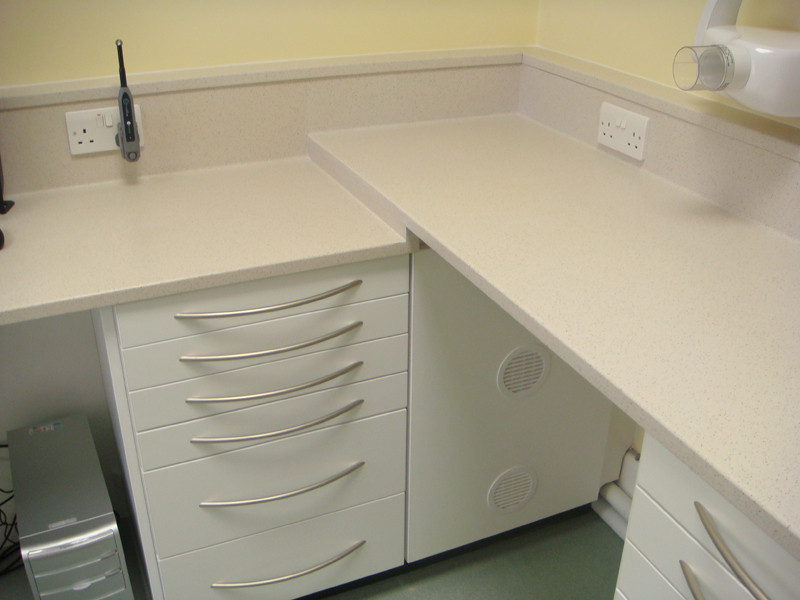 Velstone worktops with under mounted stainless steel or hybrid sinks offer a very robust solution to even the most demanding Dental worktop installations. Stubborn Stains and scratches can be removed using recommend methods, thus lending itself for long term use. 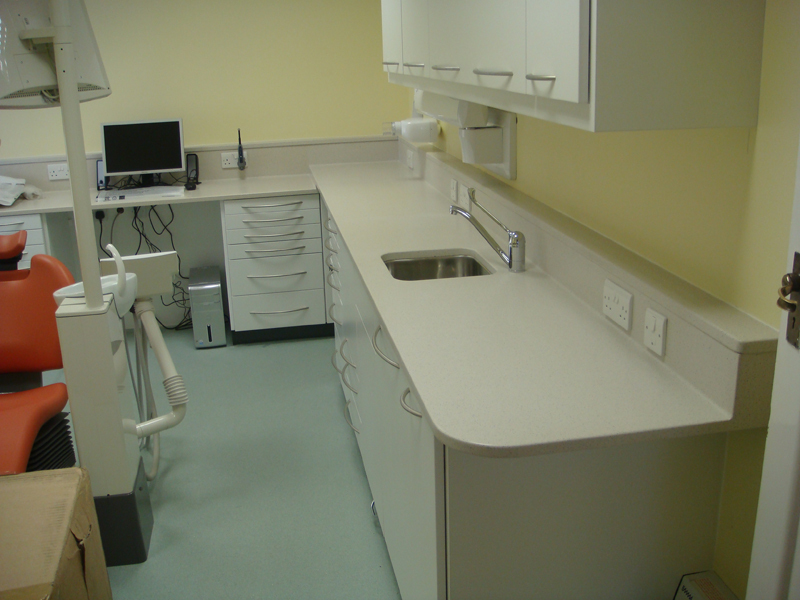 Velstone’s 25mm thick products are often preferred for Dental Surgery installations as they easily accommodate and reflect the core functional requirements of a dental surgery fit-out. Service caps, Integral up stands which form a key part of Dental surgery design, can all be formed out of a single sheet material with relative ease. These, aesthetically pleasing and easy to clean surfaces; help create a sterile ambience for the staff and patients likewise.